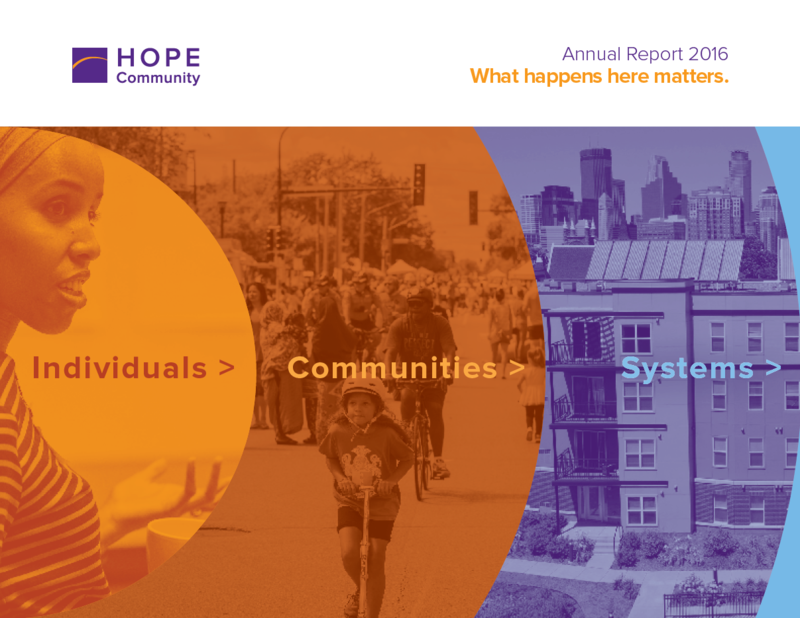 Our 2016 Annual Report lifts up what we have done and what we have learned about our work over time: it’s not what we do that makes us successful, it’s how we do it. Thank you to our community of supporters. Together, we are building a stronger city. Eager to share Hope with your friends? Watch our video and share it with those you care about. Donate or become a monthly sustainer today!